Rio Roca Chapel is located along the Brazos River in Texas. The 1080 square foot chapel seats approximately 50 people for private services, performances, and weddings. The Chapel is situated on a bluff edge where the plateau suddenly drops overlooking the Brazos River in Palo Pinto County. 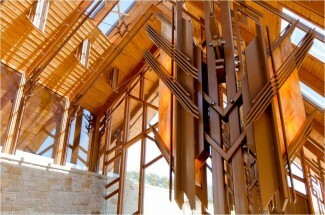 A walkway leads visitors past a conference/living building and a tall, steel fountain. Flagstone stairs step down toward the river into the forecourt, where the chapel rests on the west end. 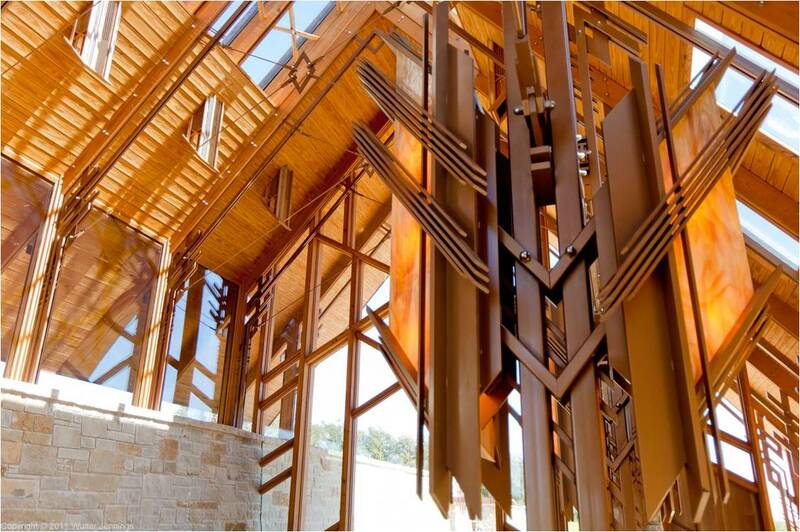 The chapel is constructed of stone, glass, steel, wood, and utilizes tension bars with turnbuckles at each of the bars providing bracing for the wall and copper roof.